Click on Thumbnail for MapIn Bath, we take a trip back to learn about an early to mid-20th century author and her contributions to American literature, stage and screen. Click on the map to see the place that all of this is associated with. Comments welcome! "It was in Bath, the oldest town in North Carolina, that Edna Ferber went on board the James Adams Floating Palace Theater in 1925 to see a showboat performance - the only one she ever saw." Why does William Least Heat-Moon mention Edna Ferber in the quote from Blue Highways? He makes it a point to write that the only showboat performance she ever saw was on the James Adams Floating Theater in Bath, North Carolina. Well, those of you who are fans of American literature and/or American musicals might know that Edna Ferber wrote the novel Show Boat, upon which the Broadway musical Show Boat is based. That visit to the James Adams was very important to the development of the novel. Three separate movies of Show Boat were made, in 1929, 1936 and 1951, with the 1936 film ranked by the American Film Institute as 24th out of America's best musicals. But Edna Ferber's influence stretches farther than that. Without Show Boat, we would never have heard the showstopping performance of Paul Robeson on the song Ol' Man River. Robeson was African-American, a giant of American culture whose voice and presence on stage and screen transcended the wrong and unjust policies of discrimination prevalent at the time. Unfortunately, he was persecuted in his life as well, labeled a communist (eventually exonerated), and died in seclusion. But even beyond Show Boat, Edna Ferber wrote a novel, Giant, that was made into a panoramic movie of the 50s starring such iconic actors as Rock Hudson, Elizabeth Taylor, and the ultimately tragic James Dean. To say that Edna Ferber saw one performance on a showboat in Bath, North Carolina is almost like saying that Jack Nicklaus watched a round of golf on TV before going out and winning The Masters. It is like saying that George Gershwin spent a night in a Harlem juke joint before writing the music for Porgy and Bess. Or, for the more modern, it is like saying that Steve Jobs looked at a CD player once before creating the Ipod. Edna Ferber herself was a distinguished woman of American letters. She won a Pulitzer Prize for her novel So Big, which itself was made into a movie, but her lasting influence on America was through her novels Show Boat and Giant. She had a knack for writing strong female characters at a time when discrimination against women was pretty common and routine. She also made room in her novels for other ethnic minorities who, as written by her, routinely faced discrimination. She appeared to especially have a soft spot for the underdogs, the people who weren't beautiful or who had flaws and therefore a life stacked against them. She was also a member of the Algonquin Round Table, made famous by its host, the acid-tongued Dorothy Parker, and could hold her own against the strong personages assembled there. When Noel Coward, a multi-talented person of letters and stage and who had a quick and acerbic wit, remarked upon her clothing by saying that she almost looked like a man, Ferber replied back "so do you." I often wish I had a quick wit like that. While I can pull out a few one-liners, and occasionally get a zing in on a friend or two, I'm usually just one step too slow. I've never seen Show Boat, but I have seen the clip of Paul Robeson's performance of Ol' Man River. The song was written by Jerome Kern, and is about as meaningful a song about America's life artery as any that has ever been written. In the voice of Paul Robeson, however, it is a majestic tribute to one of the most distinguishing and distinguished features of America. I couldn't stand next to the Mississippi River as it rolled past New Orleans when I lived there without hearing that song in my head and picturing first the slaves and later the predominantly poor African American dockworkers upon whose backs a significant portion of my country's wealth was built. I have read the book and seen the movie Giant, and living in Texas gave me a perspective on that novel that I wouldn't have had otherwise. Set just as America was becoming prosperous after the war, it shows the human side of our progress, a love triangle pitting the old ranching community against the new riches of oil. Giant captures Texas, and the United States, at a point where significant decisions about our country's priorities were being made, and Ferber boils it down to two men and the woman between them. 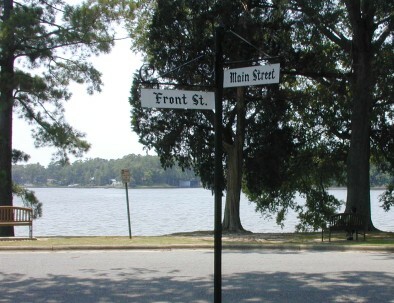 Bath is the oldest town in North Carolina, and as such deserves to be recognized. But it made a very important contribution to our culture by providing an opportunity for one author to seat herself at a performance on a showboat anchored there. Ferber, who never married nor was known to have any relationship, once wrote "Being an old maid is like death by drowning, a really delightful experience after you cease to struggle." She also said "A woman can look moral and exciting...if she also looks as if it was quite a struggle." She certainly gave us all types of wonderful characters representing all walks of American life, both in her own life and her many works. Terrific Webpage, Carry on the very good job. Thanks a lot. Good Webpage, Preserve the wonderful job. Thank you! Just a note to say 'Bravo' on your blog here. I am rereading Blue Highways (12th time?) and wanted to see if there was any info out there on the web about LHM's route when I came across Littourati. James, thank you for your kind words. I am having fun tracking him. It will take me a while to go through the whole book, but keep checking back in occasionally as I do 2-3 posts a week and will eventually get there. Enjoy!